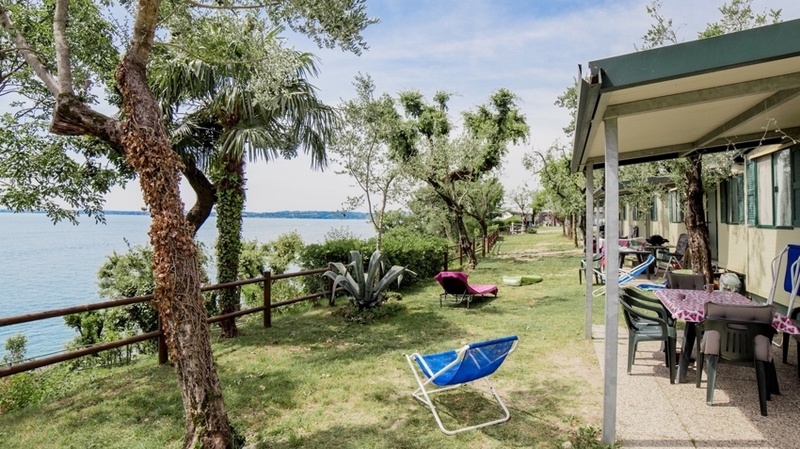 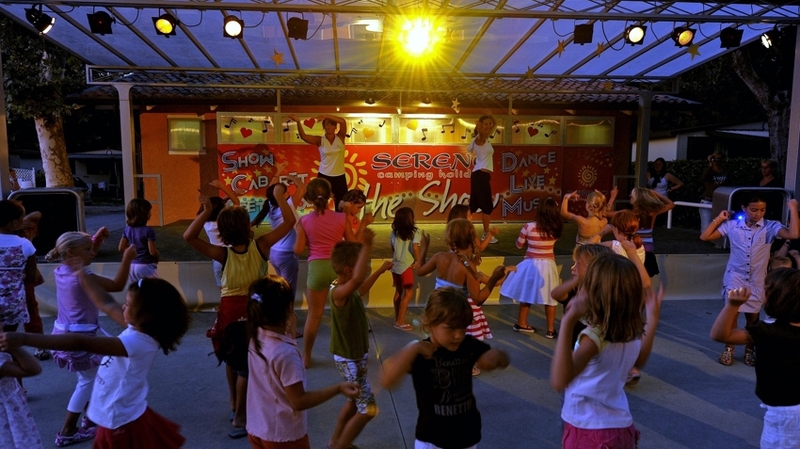 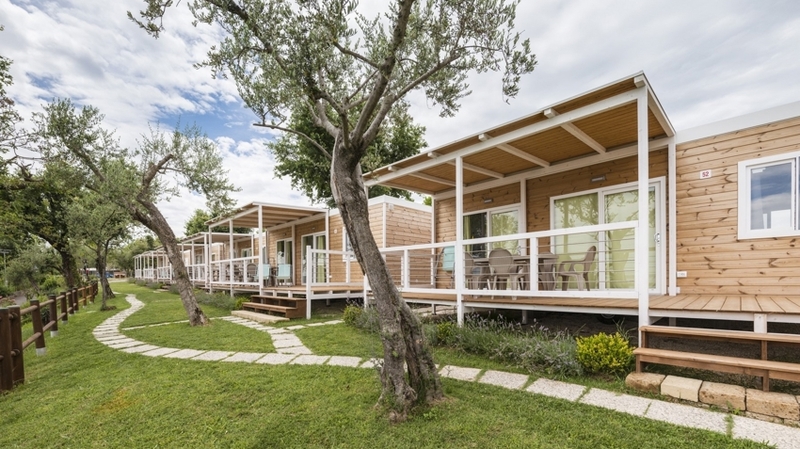 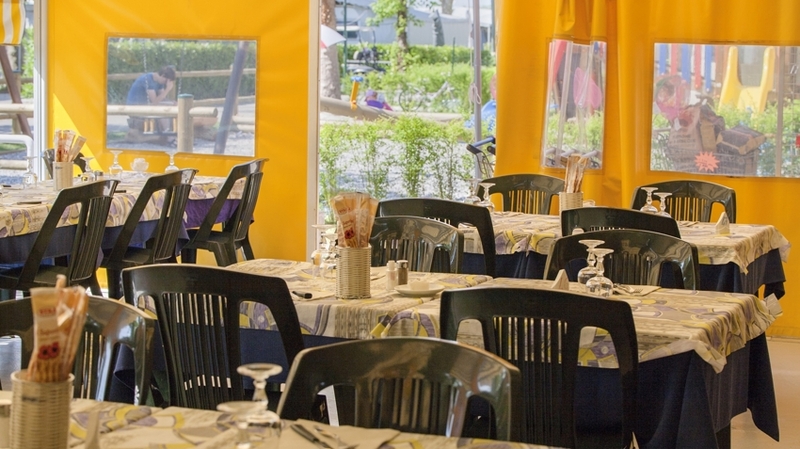 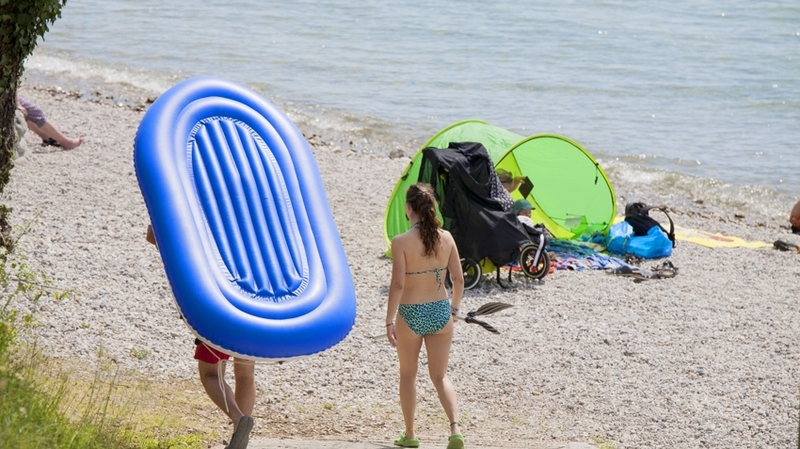 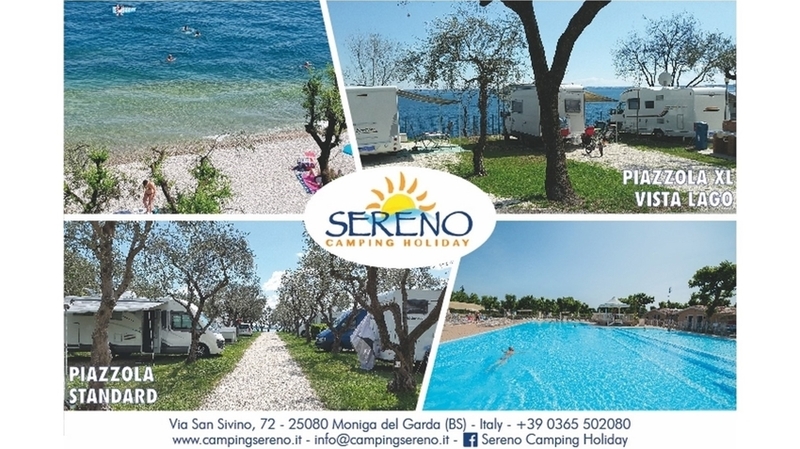 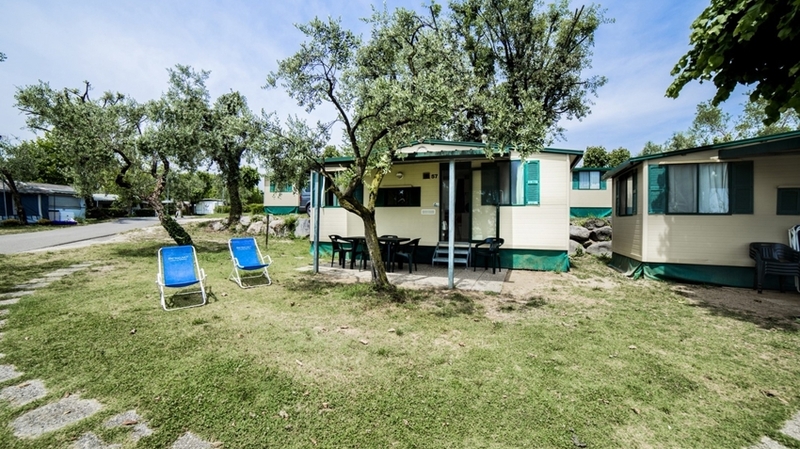 Sereno Camping Holiday is the perfect accommodation for campers and Lake Garda lovers. 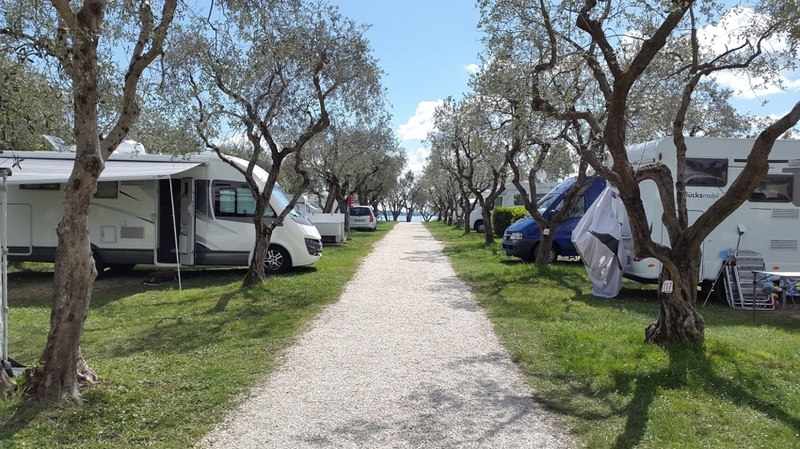 Situated a little bit outside Moniga del Garda, directly at the lakeshore, the campsite extends on a plain and shady surface of 50,000 m². 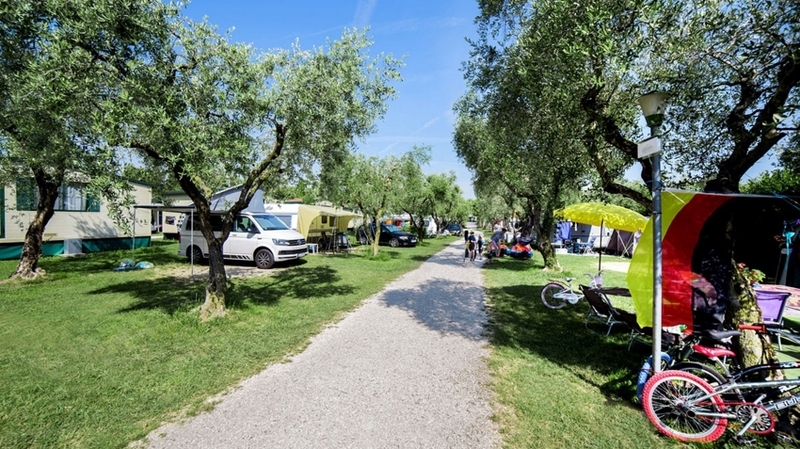 Until 1,000 m² guests can be accommodated on the pitches for tents, campers, caravans and mobile homes. 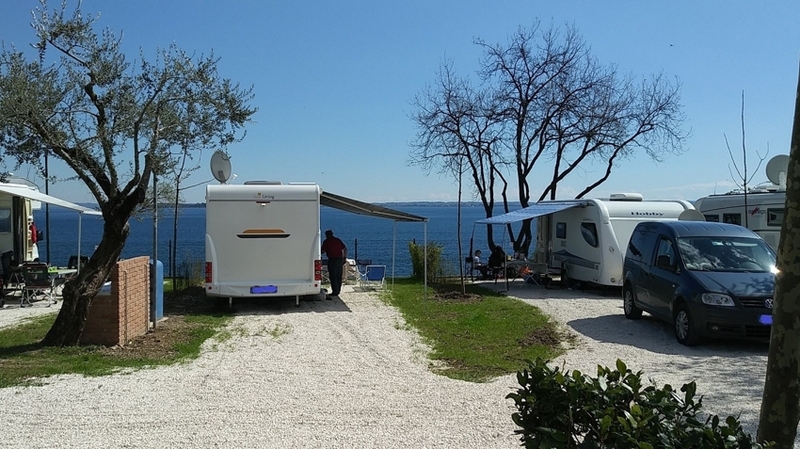 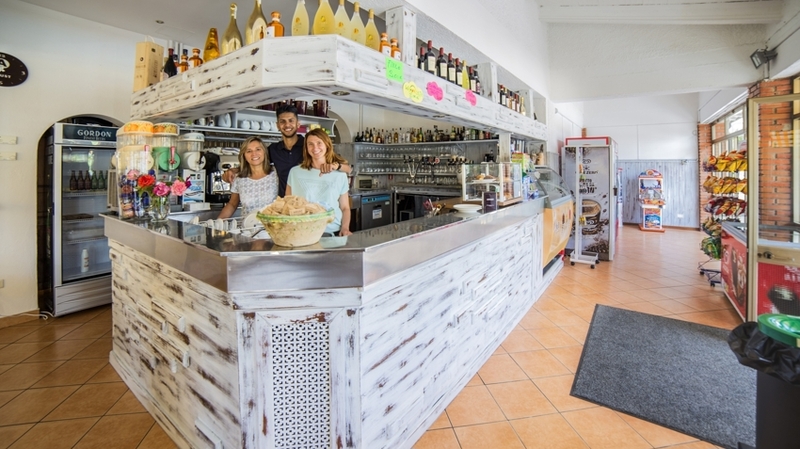 The campsite also offers a swimming pool, a beach with jetty and kiosk, an excellent restaurant, bar, a shop, washrooms and free WLAN. 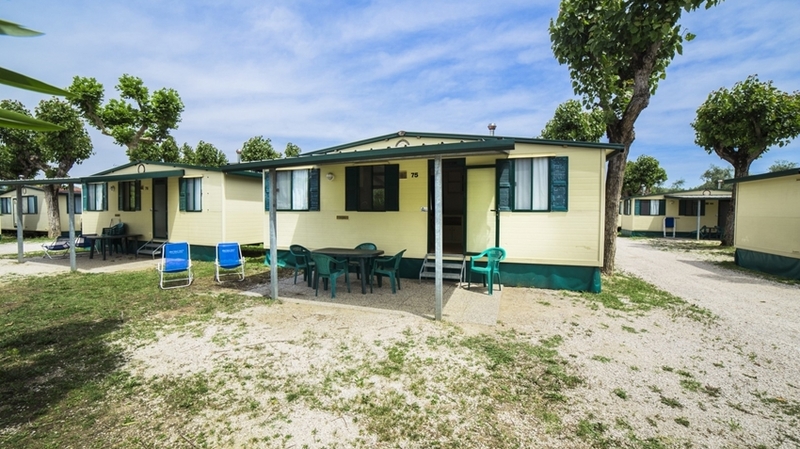 Dogs are allowed (except in the mobile homes). 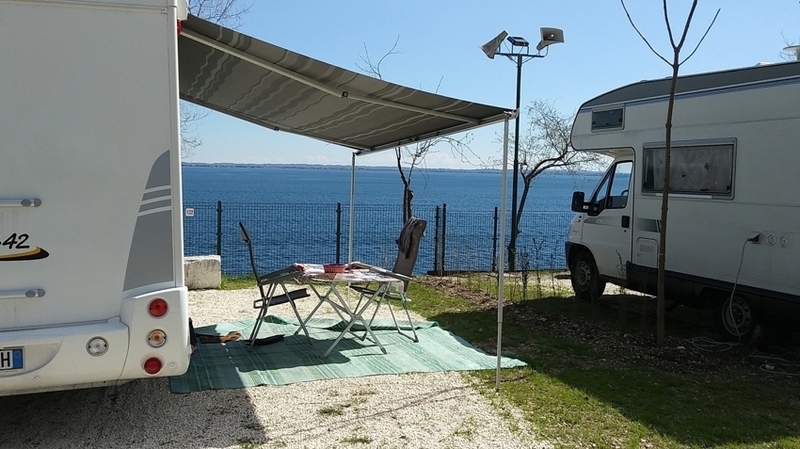 Serono Camping offers pitches on grass and gravelly soil with electric supply (6 ampere) that are ideal for holidays in a tent, in a camper or in a caravan. 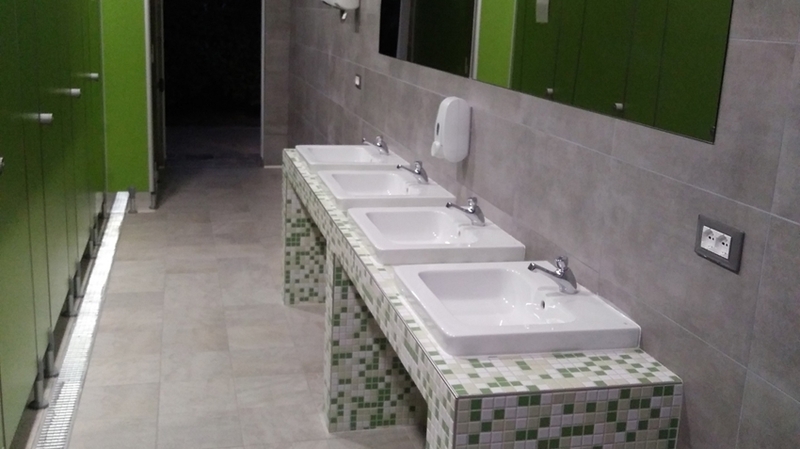 The toilets and showers are free for use and accessible with the magnetic card you will get at your arrival for a deposit of 10 euros. 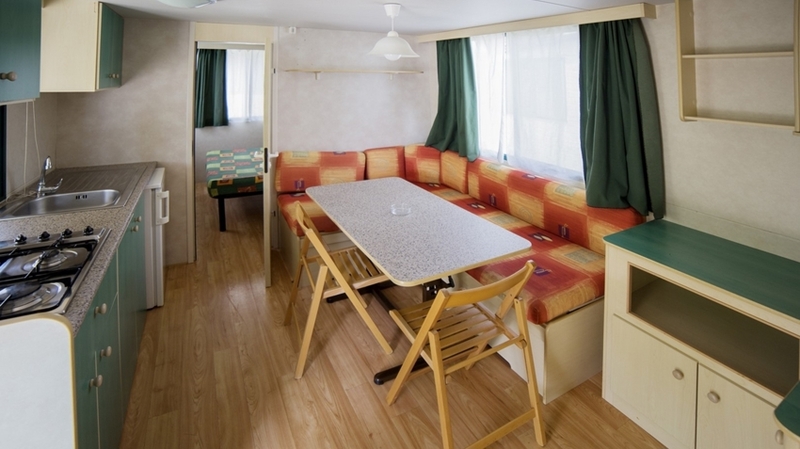 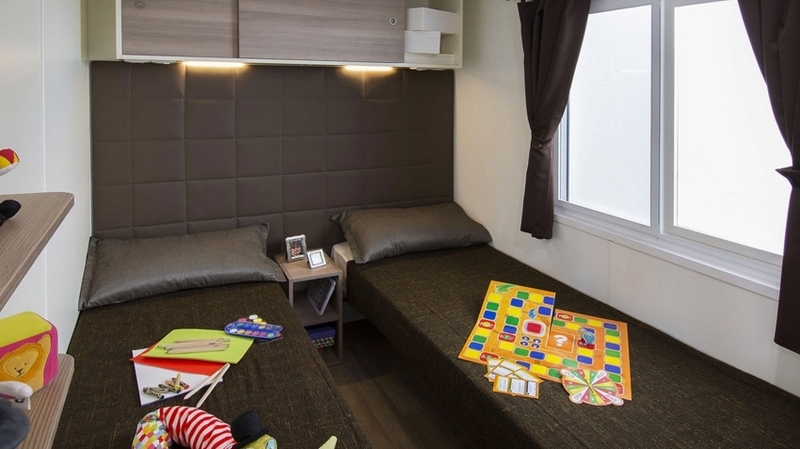 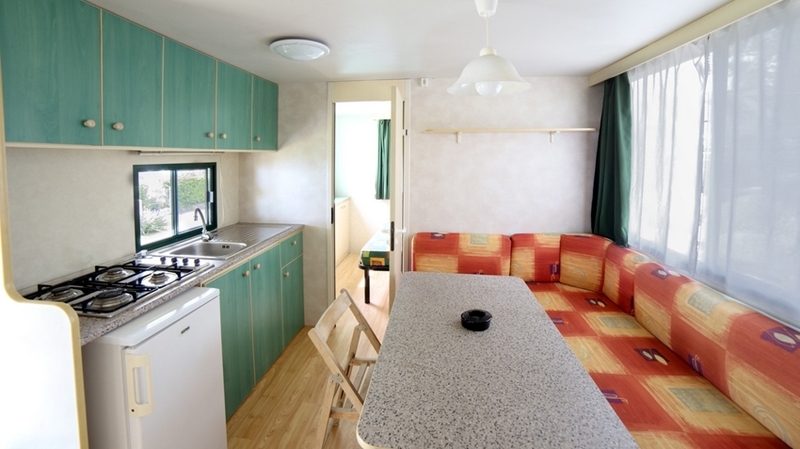 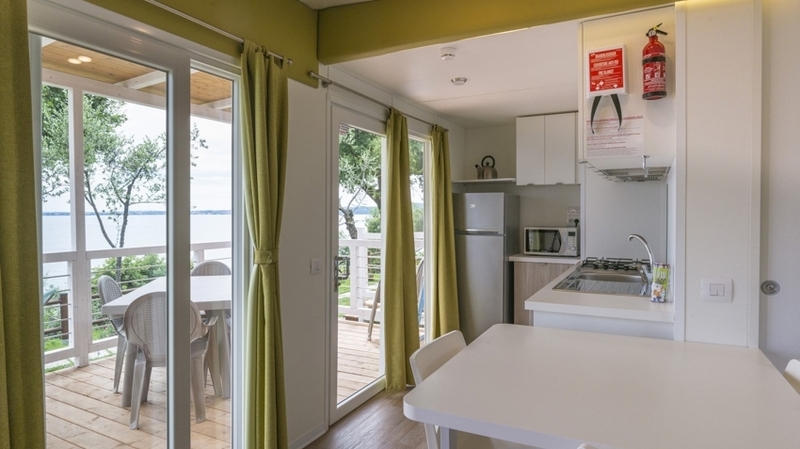 The mobile homes have different categories and are ideal for up to 5 persons. 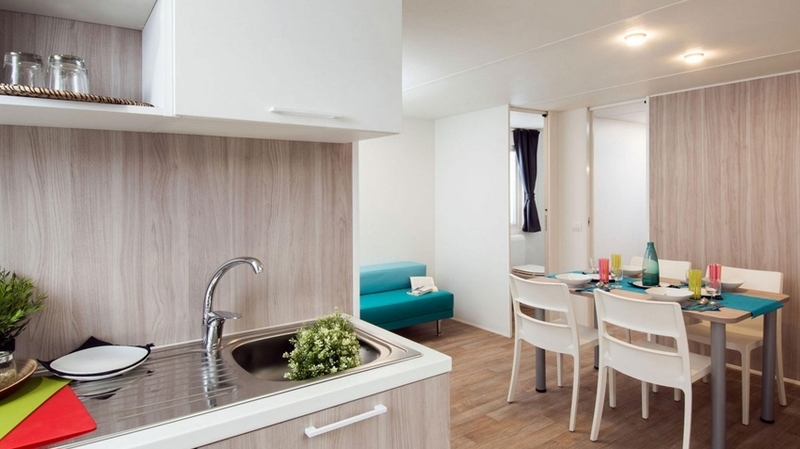 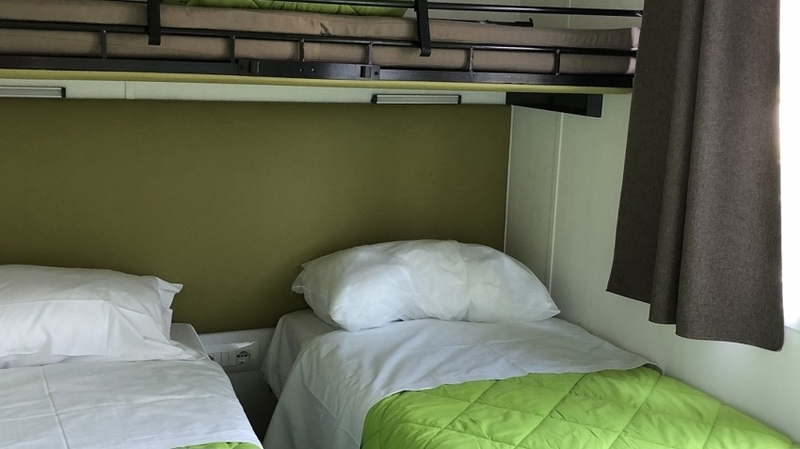 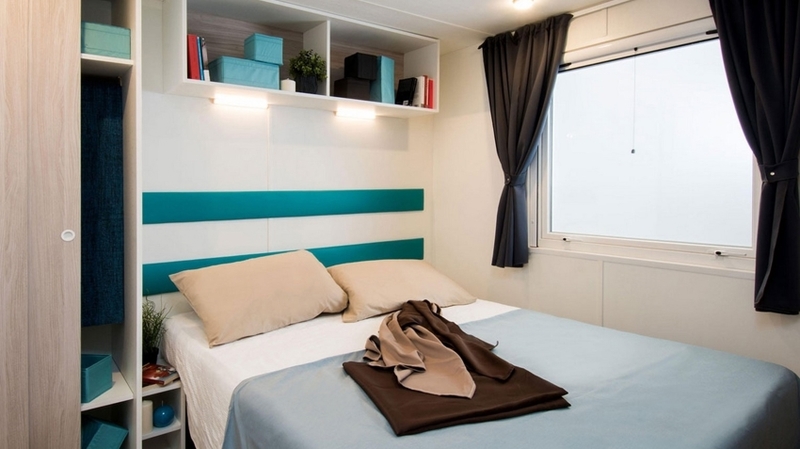 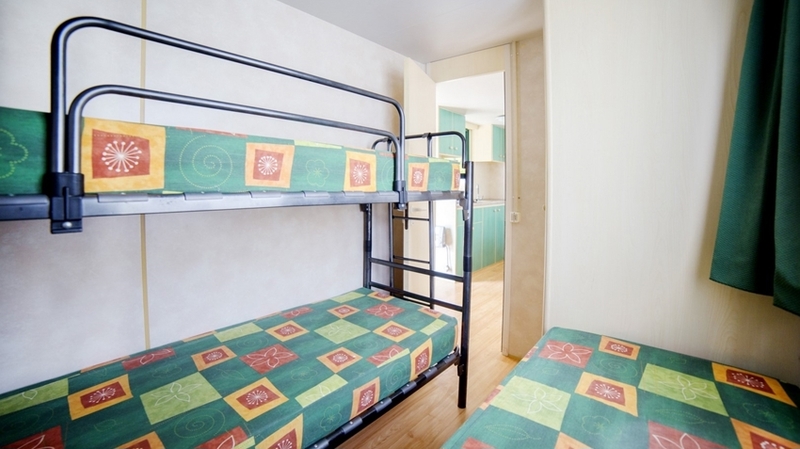 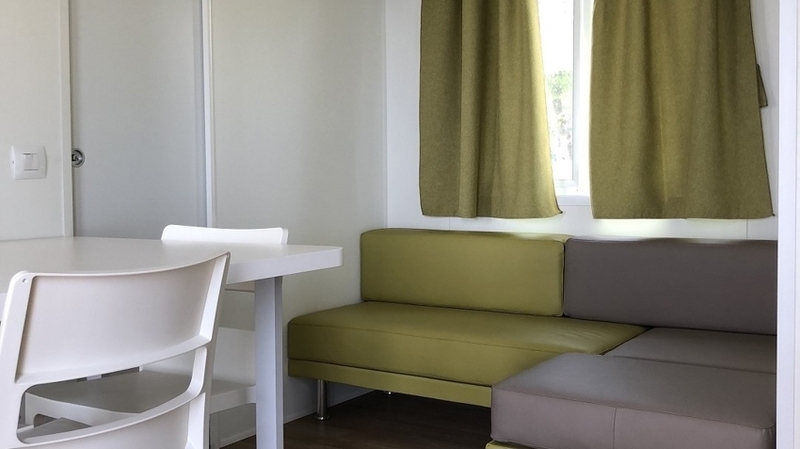 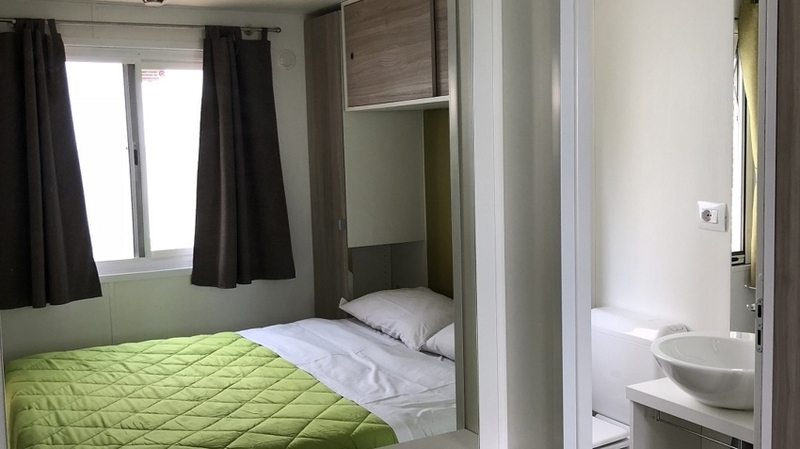 They have a double room, a bedroom with two single beds or a bedroom with single bed and bunk bed, a bathroom with WC, washbasin and shower as well as a kitchen with cooking area, fridge and microwave. 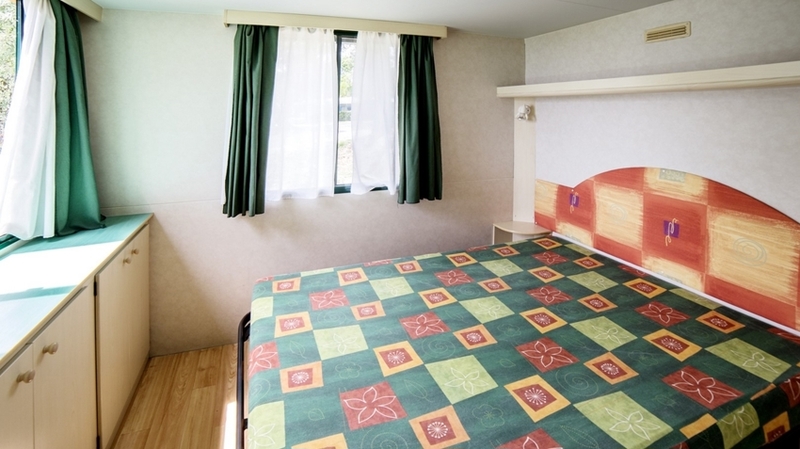 Bed linen is available on request and against payment. 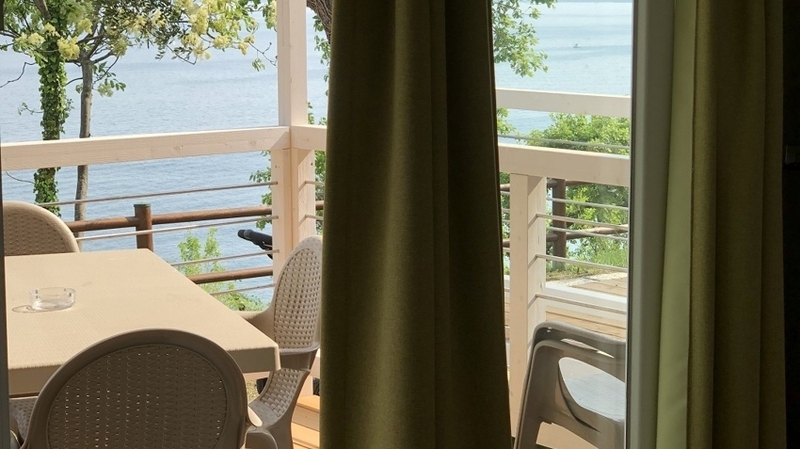 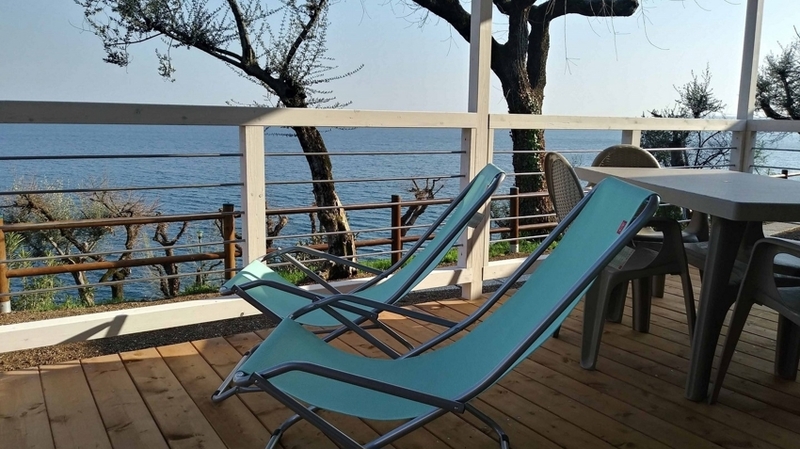 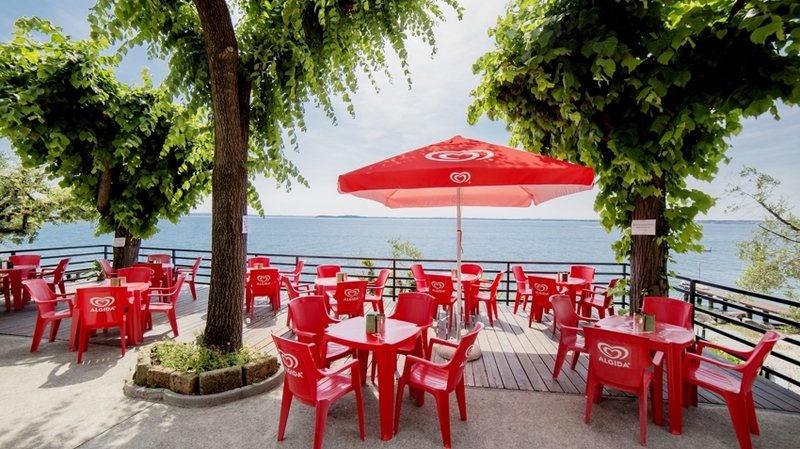 In the outdoor area, there is a veranda with table, chairs and sunbeds. 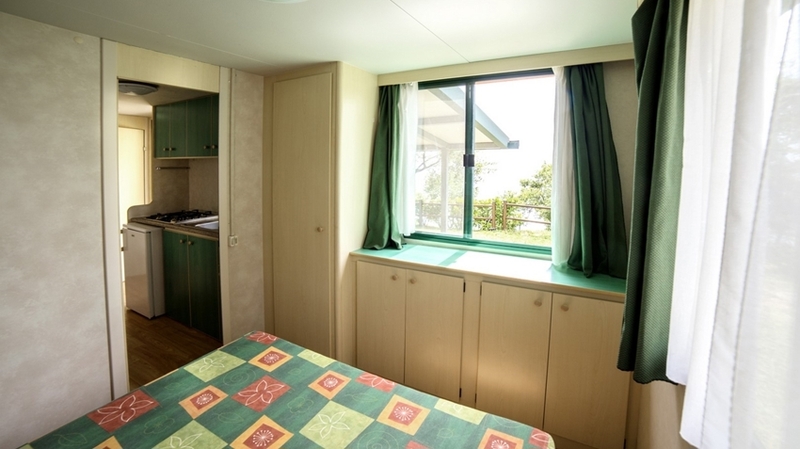 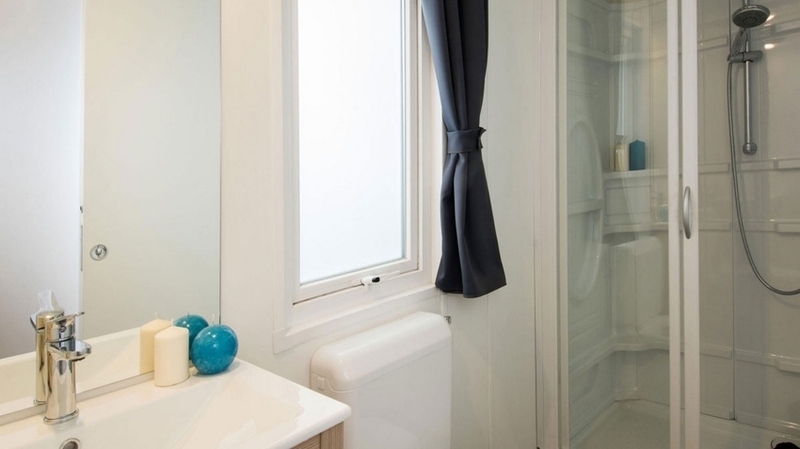 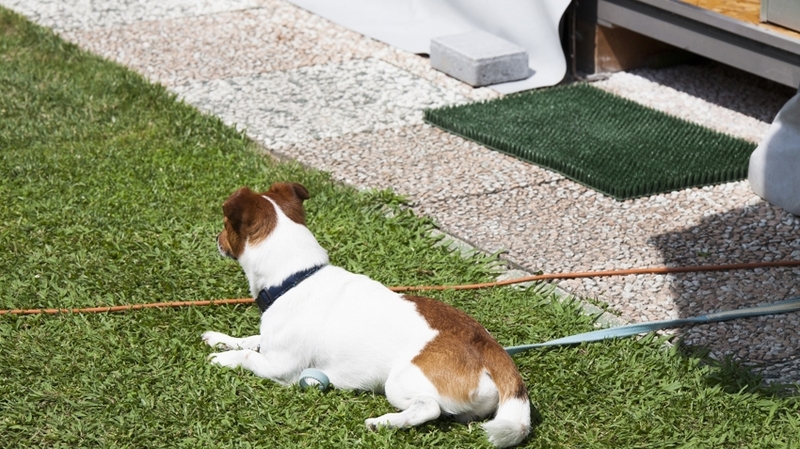 Air conditioning is available in a few categories of mobile homes. 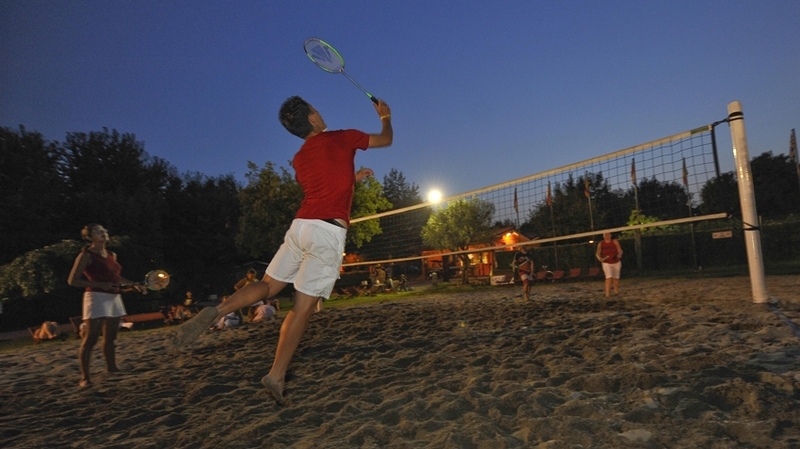 In the main season, our entertainment team organises parties, games and tournaments for kids and adults. 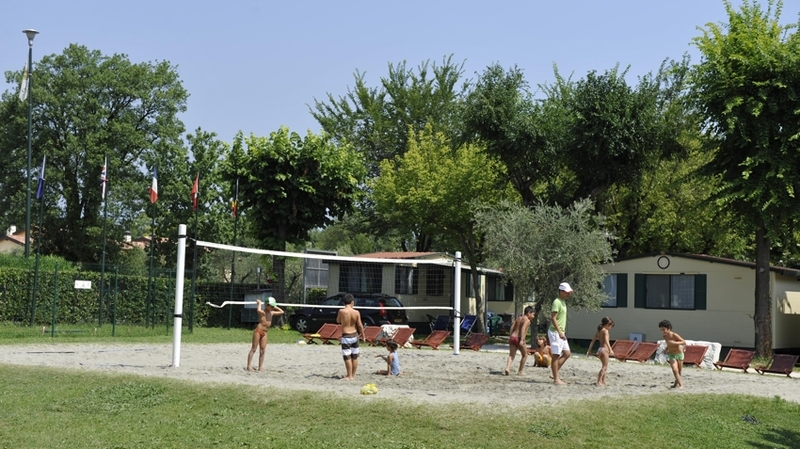 Active guests will look forward to a beach volleyball court, a MTB rental, tennis court and football pitch, various water sports and much more. 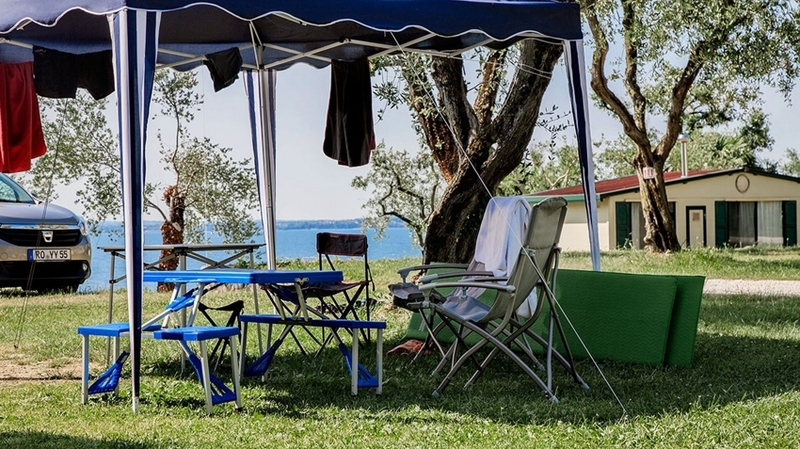 The campsite also has a boccia lane, table tennis tables and mini golf. 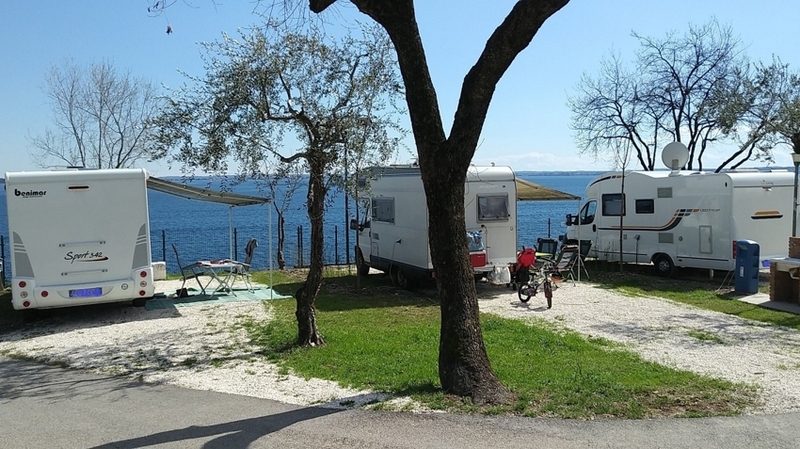 The hills around Moniga del Garda are a paradise for hikers and cyclists. 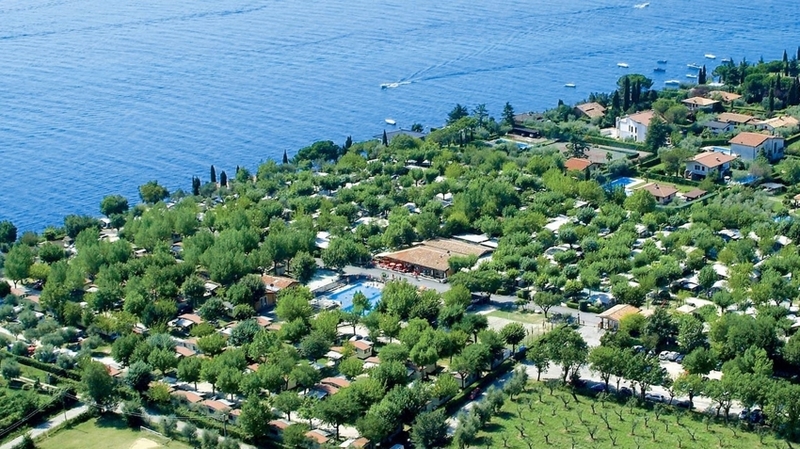 As well, you should visit the surrounding villages at Lake Garda and the amusement parks, such as Gardaland. 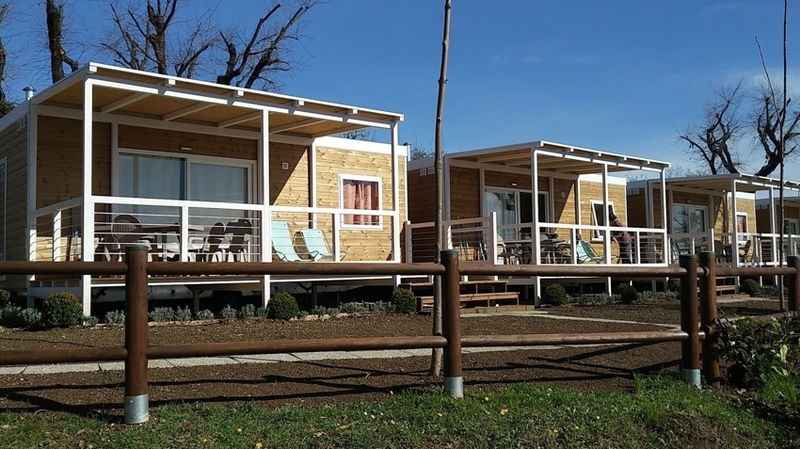 The pitches of Camping Sereno have the ground of grass and gravel and come with a column for the supply of electricity (6 amps) under C.E.I. 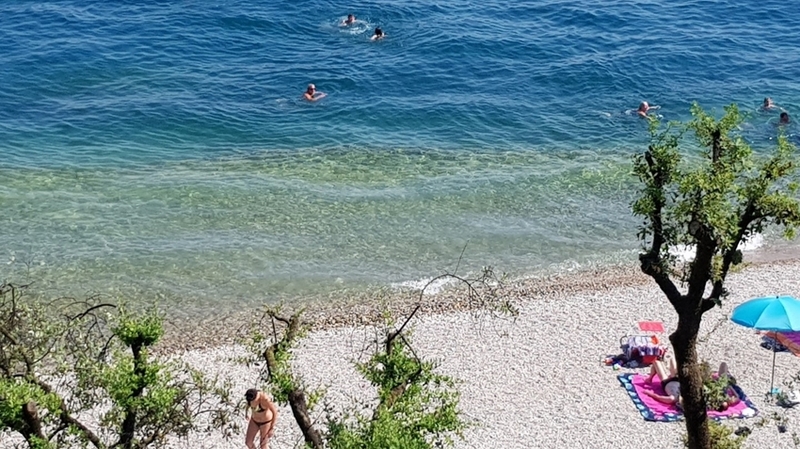 64/8. 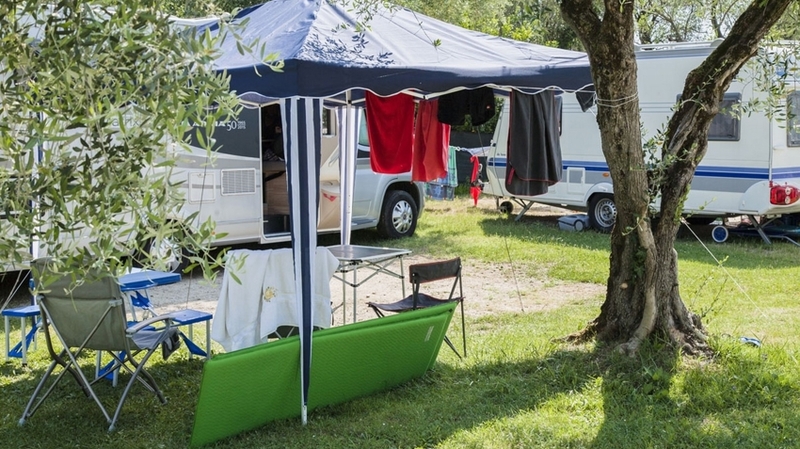 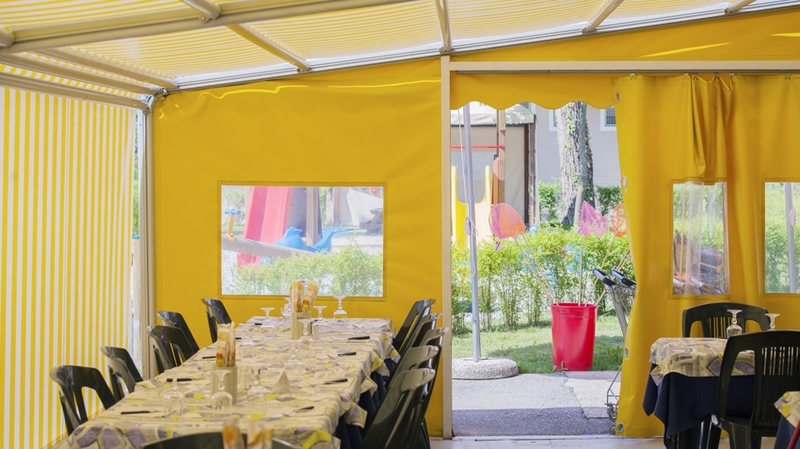 The pitches are suitable for the holidays in tents, caravans and campers. 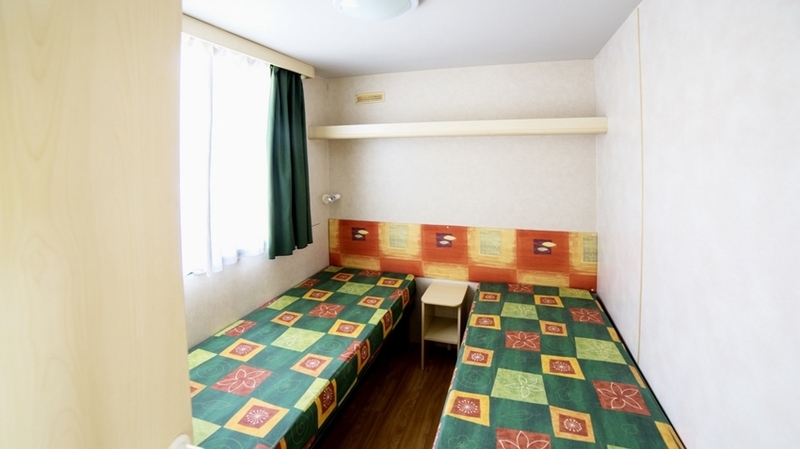 Guests have complimentary use of the toilets and showers of the campsite. 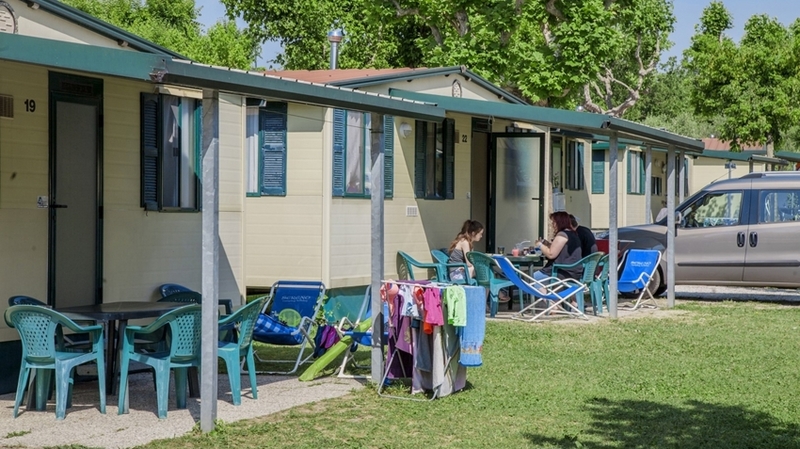 For access to showers you are required magnetic key provided by the Camping Sereno staff on arrival and provide a deposit of 10,00 € (the deposit will be returned upon departure).